Group buyer Christine Parkinson’s deep, detailed wine list is introduced with quirky titles such as ‘Curious Vines: Distinctive Wines’, and for Champagne, ‘Late Disgorged’. A chef turned international sommelier, wine judge and sake educator, Christine Parkinson has been described as “one of the most creative wine buyers” by Jancis Robinson OBE. As Group Head of Wine at Hakkasan Group internationally, including Yauatcha, she and Head Sommelier, Nicola Merighi strive for a broad and far-reaching list over at Hakkasan Mayfair, “with plenty of unusual wines,” she says. This is perhaps best illustrated when peeking at wines filed under the tantalising section, ‘Curious Vines: distinctive wines. Often ancient; not Chardonnay’ which may feature Cullen’s biodynamic Amber Sauvignon Blanc from Margaret River, Plumpton College’s juicy, smoky Morgan’s Reserve – a barrel fermented and aged Ortega from Sussex, and Schneider’s ‘grippy’ Black Print, being an aromatic carousel of St. Laurent, Merlot, Cabernet Sauvignon, Cabernet Mitos and Cabernet Dorsa from Pfalz, Germany… The food matching potential with said wines is practically endless. There is also a nod to ‘the new Bordeaux’, in the form of wines from China’s Shanxi and Yunnan. Dishes in this low lit, glossy warren are overseen by Executive Head Chef Tong Chee Hwee and show consistency despite the scale of the operation. 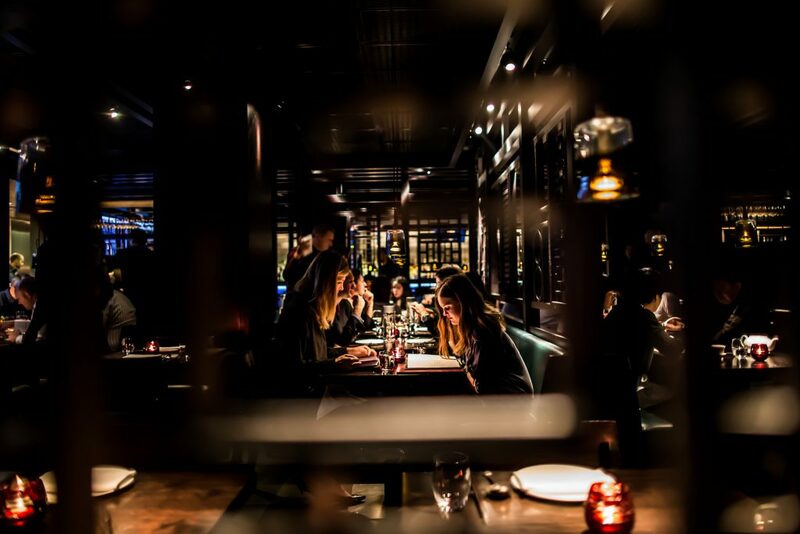 They may include dim sum of truffled duck dumpling or quail taro croquette, and from the signature menu, Mongolian style lamb chop, and, only at Bruton Street, sautéed spicy okra with shiitake mushroom and bonito flake, perhaps followed by coffee and cassis ganache with pecan.